Tie it On just keeps getting better and better! 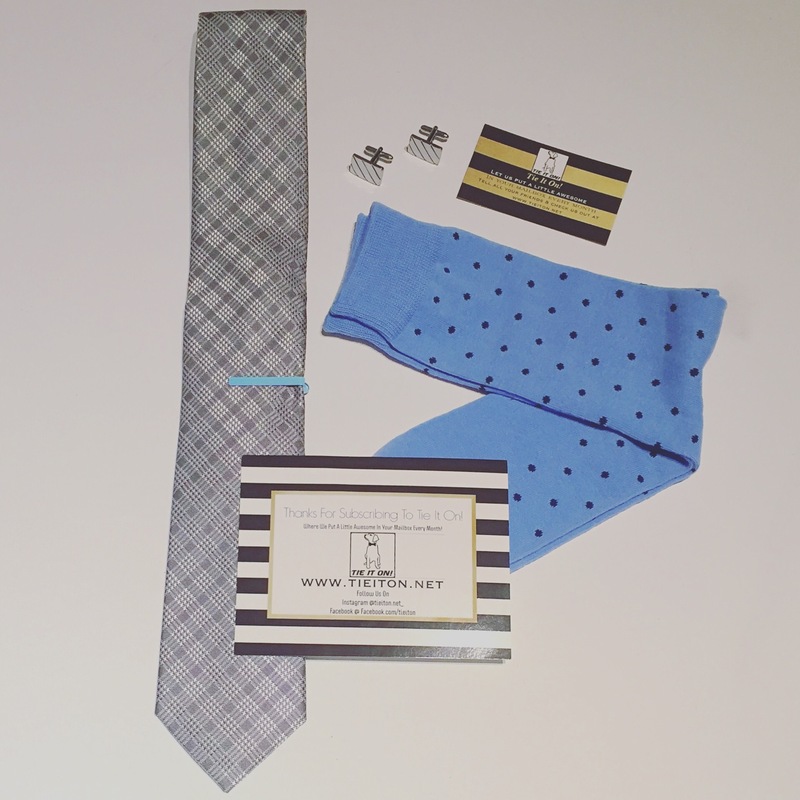 TieItOn is a gentlemen’s subscription box of monthly stylish accessories for that style aficionado in your life. Let them do the work for you in finding the perfect look for your next big day, business day or any day! Love how they added a few little accessories in this box as this was lacking before, so this month we got not only a baby blue tie clip that I love, but some cuff links too! Super classy! Loving the baby blue socks, and that silver grey tie is great for any event! Perhaps for taking your lady to the ballet or Opera or to present that great idea to the big boss!